Abbey, J.R. Travel in Aquatint and Lithography 1770-1860. Vols.I-II. London. 1956-1957. From the Library of J.R. Abbey. Volume I. World, Europe, Africa. Фронтиспис, титул, XIII, 299 с., 20 илл. Volume II. Asia, Oceania, Antarctica, America. XIV, 301-675 с.с., 21-36 илл. 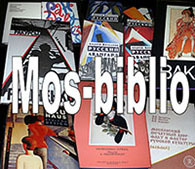 A bibliographical catalogue. London, Privately printed at the Curwen Press, 1956-1957. Reduced size and uncoloured reprint of 1956-1957 editions. Publisher: Maurizio Martino, 746 Mansfield City Road, Storrs-Mansfield.. Two volumes in one. This reprint is strictly limited to 100 copies. В коленкоровом переплете с тиснением золотом на корешке. Переиздание 1990-х годов. Формат: 29х22 см. Незаменимый библиографический справочник по разделу Rossica 1770-1860-х годов! I had originally intended that the catalogue of my books illustrated in aquatint and lithography should have comprised four distinct volumes, the third volume covering the British Empire and the fourth foreign countries. In the event, however, I have decided that this distinction would impose grave inconveniences on users of the catalogue as well as setting formidable problems of arrangement to the compiler. It seemed to me more sensible to classify the books geographically rather than on a system based on changing political divisions, and so the whole of the residue of the collection has been amalgamated in this final publication of the third and fourth volumes. Even so the arrangement of the catalogue has presented many problems and has been the subject of a good deal of anxious thought. Authors of travel-books have often inconveniently failed to confine their subject-matter to a single continent, let alone a single country. There have been occasions where common sense and strict logic have conflicted, and under such circumstances I have tried to choose the former, and to mould the system so far as was possible to the natural divisions of the books themselves. Inspection of the tabulated headings on page v will show my meaning more clearly than can be explained here. Books on France, for example, are arranged chronologically by authors under that heading, but the group of publications dealing with Paris alone was of a size which justified consolidation under the sub-heading of the capital. Other books, which treat of parts of France, are included under the headings Alps, Pyrenees, and Rhine, all geographical rather than political entities about which there was a sufficient literature to make separate headings convenient. It is hoped that the index and a liberal supply of cross-references will mitigate the inevitable failure to find neat pigeon-holes for material some of which was intractably miscellaneous by nature. In annotating this volume much attention has been paid to the recording of details relating to the publication-history of the books. Many original prices have been noted from contemporary advertisements or trade-lists such as the English Catalogue and an attempt has been made to grapple with the problems of the remainder issues of certain volumes; in this context the catalogues issued in the eighteen-forties by Henry G. Bohn, the most substantial of the dealers in remainders, have been helpful. Every collector of colour-plate books, however, will know how difficult a subject this is, and much research remains to be done on it. In general my aim has been to place on record an accurate and detailed description of my own copies of the books, and only occasionally to launch into the field of theoretical bibliography. Nevertheless I venture to hope that under such headings as Hullmandel's Twenty-Four Views in Italy, 1818, No. 167, and Boydell's Norway, 1820, No. 254 , even the specialist will find new and original information. When I was forming this section of my library I confined myself to books printed in England, a limitation which has excluded a large number of fine books in the English language printed in America. These, however, are adequately described in several American bibliographical works and are difficult of acquisition by an English collector. I have admitted a few books printed in America but bearing English publishers' cancel titles or imprints, and I have also made an exception in favour of several early books printed in Australia and India. I have even included a few books of relevant subject-matter which are in fact illustrated neither in aquatint nor lithography, such as Bartlett's American Scenery, 1839-40, in parts, where the illustrations are steel-engravings: and I hope that critics will regard their presence with an indulgent eye. Having included them for one reason or another in my topographical collection it seemed a pity to omit them from the catalogue. So far as aquatint and lithography are concerned the collection is as complete as a quarter of a century's search can have made it, but I am under no illusions that there must be gaps. One major work, for example, William Gore Ouseley's Views in South America, , has never come my way in attractive condition. For me the books in this catalogue are notable for the picture which they give of the British as a race of indefatigable travellers, seeking out and recording the manners and customs of inhabitants of every quarter of the globe. The insatiable curiosity of itinerant British authors and artists was matched by their compatriots at home, whose open-handed patronage made possible the publication of a majestic series of illustrated travel-books such as no other nation in the world has produced. For many of these books, some of them very costly indeed today, were expensive on publication; and it is not easy nowadays to visualize a period when a volume of coloured views of St. Petersburgh found a ready English market at six guineas. Yet for forty years such books were produced and bought in great numbers, or borrowed through such institutions as the Illustrative Subscription Library of John Ebers of 27 Old Bond Street, who issued a catalogue of such costly books for loan in 1822. My thanks are due to the late Mr. George Bates, whose labours in hunting England for unusual and unrecorded books have added greatly to the completeness of the collection. The exceptionally heavy editorial work on these two volumes has been carried out by Mr. Michael Oliver, and I am much indebted to him for the time and trouble which he has lavished on the collation and arrangement of the descriptions, and particularly for the large amount of original research which he has embodied in the notes. He has been successful in gleaning new facts about many important books, and it is hoped that their publication here will materially increase the catalogue's usefulness as a work of reference. It is a matter of deep regret to me that Mr. Oliver Simon did not live to see the final volumes of this work through the press. It was my good fortune to obtain the services of one of the most distinguished typographers of the century, and the present elegant format and appearance of these volumes are entirely due to his continuous interest and enthusiasm. I am also grateful to Mr. Gordon Carey for compiling the index; and to Mr. A. N. L. Munlby for advice on the arrangement of the volume and on other points.